It’s time to think about another really important element in our relationship with food – the waste. We’ve been thinking a lot about the relationship we have with food. It can be easy to get caught up in conversation about what foods to eat, how much to eat, or when to eat. Another important element in our relationship is what we do with the bits that don’t get consumed. Food waste and the trash that accumulates from packaging of foods is a big problem in our country. In Austin, where iLiveWell is based, nearly half of what ends up in the landfill could have been recycled, specifically organic materials like food scraps. We also hear facts like plastic debris in the ocean occupying more than three times the size of France, which is incredibly alarming. Keep a list of items you need on your phone when they run out so you don’t buy things you already have. Work out a weekly meal plan. Shopping for specific ingredients with meals in mind and taking a list helps ensure we use what we buy. Don’t plan every meal! Just thinking about 4-5 meals allows you to be flexible with unexpected leftovers, especially if you keep some meals in the freezer as a backup in case your plans fall through. Buy foods that can be used for several different dishes gives us flexibility to create different meals. Chop your produce after you purchase for quick access. 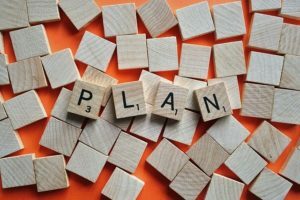 Check out this article that inspired the above ideas! Food packaging is not something we typically put a lot of thought into, but it’s a big offender when it comes to polluting our oceans and increasing our landfills. We’ve made a list of things you can do at home to reduce the amount of packaging you use in your daily life. Invest in a reusable water bottle. 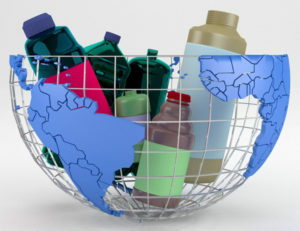 Around the world, nearly a million plastic beverage bottles are sold every minute. Start visiting the bulk buy aisle at your grocery store and bring your own container. You’ll need to weigh the container or bag before adding the food item, that way you can tell the cashier the tare weight and they can subtract it from the total. Grocery stores like HEB, Sprouts, and Wheatsville in Austin allow you to bring your own container. Click here to see which stores allow you to bring your own containers for the bulk section. Check out this website for ideas on reusable kitchen items that can replace the items that may get thrown into the trash regularly. We’ve been using silicone bags at home for a variety of uses! 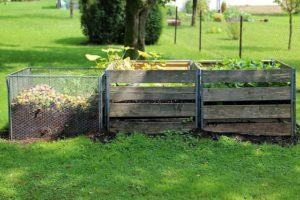 Compost is organic material that can be added to soil to help plants grow. Food scraps and yard waste currently make up 20 to 30 percent of what we throw away, and could be composted instead. You can check to see if your neighborhood is part of the roll out for Austin’s Curbside Composting Collection. If not, research alternative organizations that can use your compost, like Compost Pedallers. If you don’t live in Austin and want to learn more about where to compost in your hometown, visit here for a compilation of resources. In addition to giving the above ideas a try, we recommend reflecting on your own habits to see if there are any other areas you can make small changes to, which will help reduce waste. Big changes start small. What can you do today that will help reduce waste? Did you know we offer more tips and recipes that you can check out on our Instagram and Facebook!